March 17, 2019 April 18, 2019 - by Marcus Eriksson - 2 Comments. Instagram bots have changed the way we manage Instagram accounts when it comes to likes and following others, but what should we look out for? No doubt, Instagram is a huge platform for marketing and as at today, it has well over 800 million users worldwide. 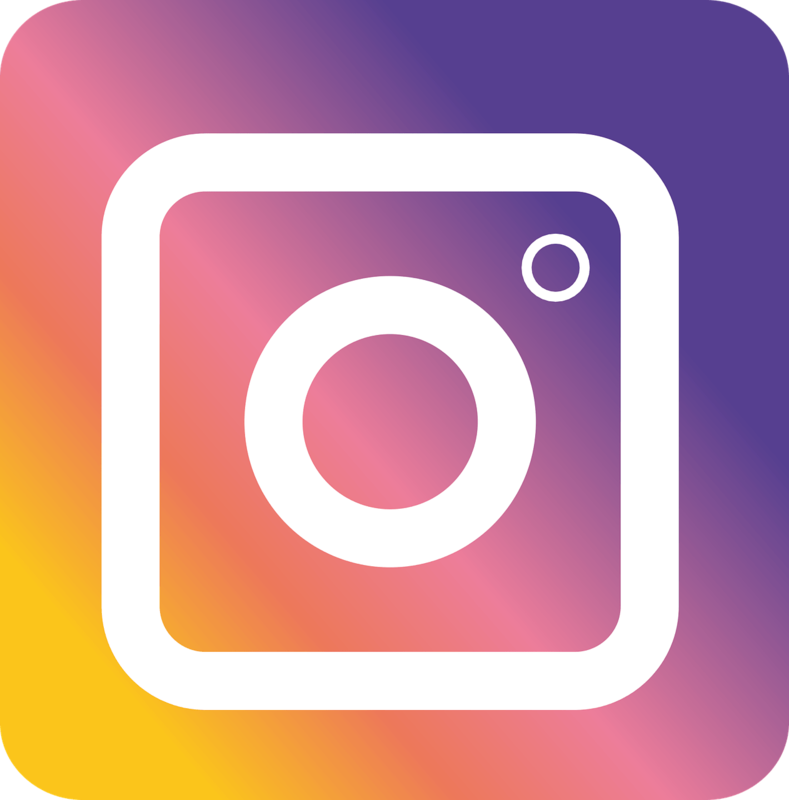 With just an active profile, whether it’s a personal or company’s brand, Instagram has become an effective social media platform that can help any company or business shape and market its brand identity. This is achieved as the number of people who follows or identifies with your business increases, thereby giving the company’s product or service a global exposure. Actions such as posting, liking, commenting, following, unfollowing, adding hashtags, and location tags, make it easy for entrepreneurs to analyze the visibility of their business, brand, product, or service on Instagram. However, to maintain such a high level of business engagement on the platform, it requires constant timely updates on your profile which could be time-consuming and demanding if you do not want to lose your followers. To this end, Instagram Bots was designed to help maintain this high level of engagement and presence. 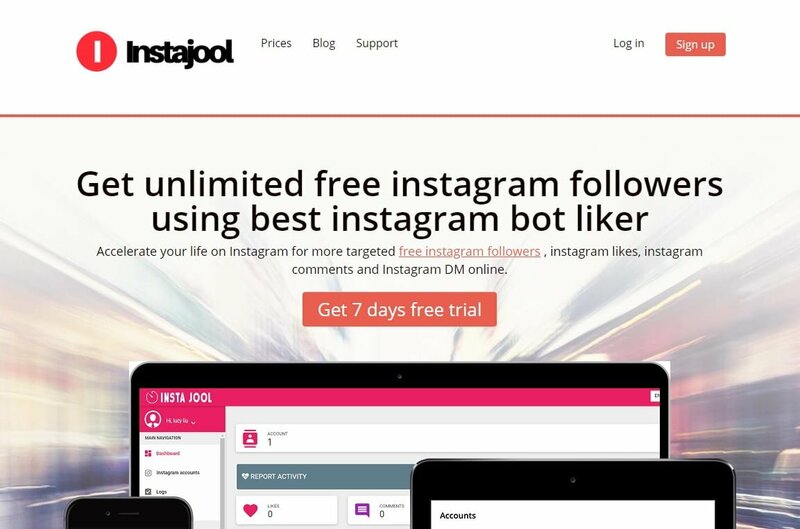 Quick summary: We have put together a list of the best Instagram bots and growth services below. We recommend Followadder as the best Instagram bot. If you are looking for a good social media marketing agency, then we think you should give SocialSteeze a try. If you plan to use multiple accounts for Instagram botting, then you need a reliable proxy service. We suggest SSL Private Proxy for this task because they have specialized packages for Instagram. Instagram Bots make actions such as liking, commenting, and following other accounts look very easy through automation. Instagram users have to be involved in these actions on a daily basis which is time-consuming, but all that can be automatically done for you using Instagram Bots as long as you set parameters like specific hashtags or accounts to target. For example, a business within the fashion industry can set up Instabot to follow, like, or comment on posts that carry hashtags categorized under fashion like #fashion, #instastyle, etc. Once these Instabots are set up and allowed to run for a period, it saves serious business-time on users, easy-to-use, and helps businesses to grow at an affordable rate which is not more than $20 per month. We have listed some of the best Instagram bots for likes and followers currently available, but there are others that you should avoid. Are there pros and cons associated with using Instagram Bots? How Can Businesses Choose the Right Instagram Growth Service for Their Brand? FollowAdder is definitely the most well-known Instagram automation service out there. In our opinion, this company earned its excellent reputation – allow us to explain why. 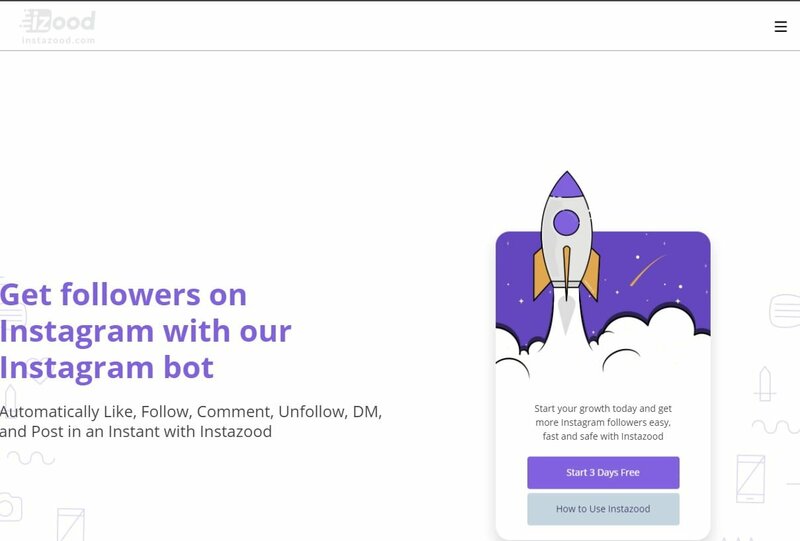 All in all, FollowAdder is a very reliable automation service that does everything an Instagram bot should do. We can use it to schedule posts, as well as like and comment on other accounts’ content. In addition, FollowAdder can also host giveaways from the client’s account to increase engagement. Of course, business owners may be a bit reluctant to leave their brand in the hands of a piece of software. After all, as we’ve mentioned, mistakes have happened in the past, and bots don’t have the discerning of a human. However, FollowAdder has proved itself competent. Even though the bot takes over a brand’s account, the business will still have the final say and complete control over the automation service. Basically, FollowAdder will help you gain real and engaged followers within a certain demographic, thereby helping your business grow. They have five service tiers, all of which allow users six months’ access to all features, as well as free support and software updates. The Starter tier costs $8.33 per month and gives the software control over one account. The other tiers are $12.50 monthly for 3 accounts, $19.17 for 5, $31.33 for 10, and $70.83 for 25 profiles. And, there’s even a 7-day refund period – so clients can be sure that they’re getting what they paid for. The second best automation service on the market is FollowingLike. It’s fairly simple to use, and can also handle any task you throw at it. The bot can schedule posts, like, unlike, comment, or even message people with interests relevant to the client’s brand. Essentially, FollowingLike will try to mimic human behavior – but then, that can be said for the previous service as well. This feature is very important in a bot since some services have been shut down for overtly spamming their followers’ timelines. In order to avoid detection, the bot also uses the proxy rotate method, so clients’ needn’t worry about the service’s IP footprint. FollowingLike is available for Facebook, Instagram, Google+, LinkedIn, Pinterest, Reddit, and even Tumblr. If a business owner is in need of a bot service that operates across multiple platforms, they may even use the service’s Ultimate Edition, which gives them access to all platform-specific features. Of course, the Ultimate Edition is significantly more expensive than single-platform versions of the software. For one Instagram account, clients can pay the one-time fee of $79, and $113 for five profiles. There are several options for unlimited account services, so clients may pay a one time fee of $194. On the other hand, they might also pay $136 per year, or $7 for 3 days, then $148 yearly. The fourth option is paying $100 monthly. For businesses that like to have some options before settling on a growth service, there are many more bots to choose from. Boostgram, for example, is an excellent service – and there are no downloads necessary. Clients have full control over the automation service, which includes not only post scheduling and automatic liking and following but also audience targeting. The bot can target accounts by gender or location – which should be useful for gender-specific businesses. Once we connect our Instagram profile to the service, we only need to enter our preferences and let the program do its thing. This service also offers 24/7 customer support, and it can even be accessed through mobile. Users may try the automation service out for a 3-day period, or they may jump right into the $31 per account weekly payment plan. Now, Instazood is a bit tricky. On the one hand, it can schedule posts, manage comments and message accounts just fine. It offers customer support, automates posts and can be set to like and follow posts and users who use certain hashtags, or live in a certain area. These are all great features, and the service is supposedly also safe and mobile friendly, with no downloads required. In fact, it’ll even allow users to actually buy likes and views. The one gripe we have about this service is that it’s somewhat complicated to use. Actually, some of these bots do tend to be a bit messy, and frankly, ugly. Fortunately, Instazood at least has an attractive UI. Clients can employ this service on a monthly basis, and the cost depends on the services they choose. So, for simple follow/unfollow, like and comment automation bot, the service is only $10 per month. For their Comment Tracker, which will mark comments as important, delete and reply to them, users pay another $10. The post scheduler is also $10 monthly. Instazood’s Direct Messaging services are available for $15 monthly. This allows the bot to welcome new followers, and message followers and non-followers alike, for 80-120 messages per day. In addition, clients can purchase 100 likes for $1, and 100 video views for 50 cents. All of these services have a 3-day trial period. Instavast is another one of those bot services which make sure to at least simulate human activity. It even goes as far as to use a proxy, in order to hide its digital footprint from clients’ accounts. Aside from that, they also offer all of the regular features, like post scheduling, liking, following, and targeted outreach. Users can set which hashtags the bot should seek out, and which it should steer clear of, as well. This bot also presents the client’s accounts’ analytics, which is greatly helpful with deciding the next marketing step. And, it can handle infinite accounts in one subscription. All that, and users don’t even need to download anything! The service also offers message and comment managers, and clients can even buy likes and views. There’s a 3-day trial for all four services, which are all $10 per account, monthly. Their Instagram Bot is actually only one of the four services. It performs all of the usual tasks, such as scheduling posts, liking, following, commenting, and even viewing stories. It can also manage multiple accounts. The other services on offer add DM automation, comment management, and advanced scheduling options. 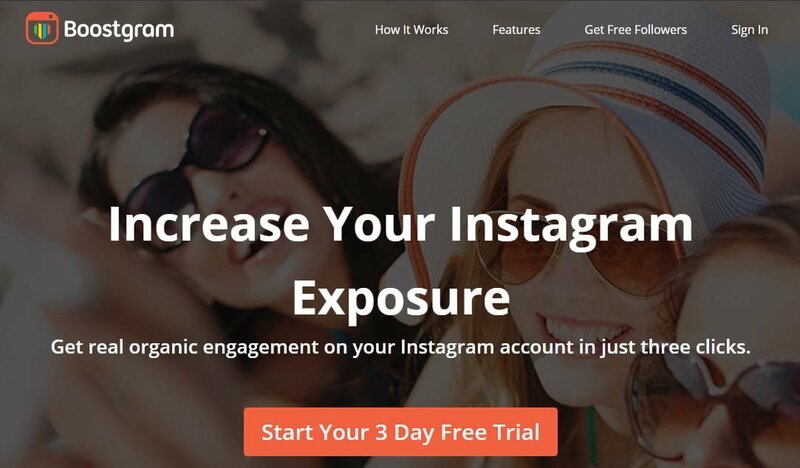 This Instagram automation service knows the basics – and sticks to them. Robolike will post whenever the user tells it, and it can like about 80 posts per hour. After the client sets the hashtags for the bot to sort through, it will do so. The service basically relies on the people who check who’s liking their posts and follow them back. So, Robolike will draw users to the client’s Instagram page, where they’ll hopefully find something worth following. The service only has one monthly plan which costs $7.77, though interested parties may receive a 3-day trial. The company also offers discounts for businesses that need to manage more than 10 accounts. However, business owners must contact the service directly in order to get more information on that discount. Instajool is a comprehensive automation service which likes, follows, and comments according to preset hashtags and locations. It can also message users and should be pretty easy to use. The bot makes sure to stay under the Instagram posting limits in order to maintain human activity levels. There are no download requirements, which is great as well. Additionally, Instajool’s 24-hour customer service is always ready to answer users’ questions. While the two available payment plans both allow users access to the full assortment of the bot’s features, the Basic plan can only manage 10 accounts, while the Advanced one can handle up to 100. The Basic plan is only $6 per month, while the advanced is $10. Finally, both plans have a 7-day free trial period, so clients can try the service before they make a commitment. 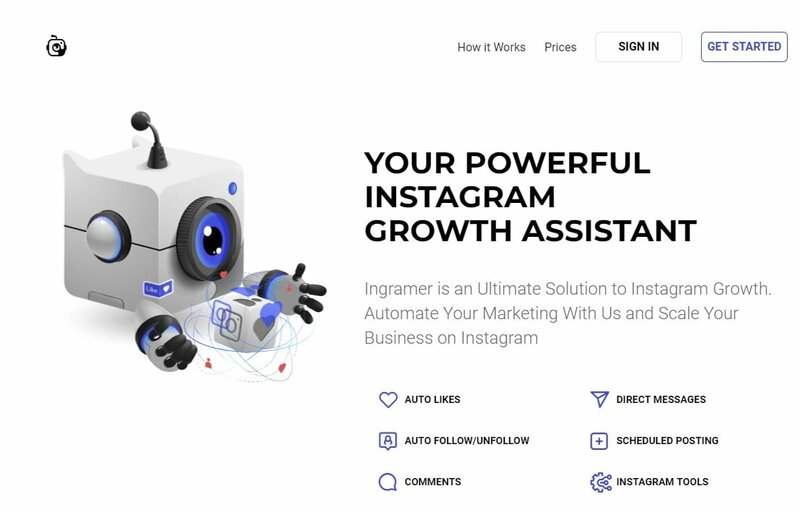 Ingramer is another fairly straight-forward Instagram automation service. It will like, follow and comment on other user’s posts. Naturally, the client may select hashtags the bot can track, and the ones it can avoid. The bot can also handle the client’s own posting schedule, and even message people. In addition, the bot may also provide analytics on the client’s accounts. Speaking of which, the service can offer its three tiers of payment for 1, 2, 3, 5, and 10 accounts. The 1 account limit plans seem to be the most expensive, so the 2-week plan costs €19 (about $22), the 1-month plan is €24 ($28) at a 35% discount, and 3 months are €57 ($67) at a 50% discount. In contrast, the 10 account limit plans are €9, €12, and €28. The 3-month plan even comes with a personal manager, who will make sure the client’s account stays on track. Of course, there’s also a 3-day free trial. 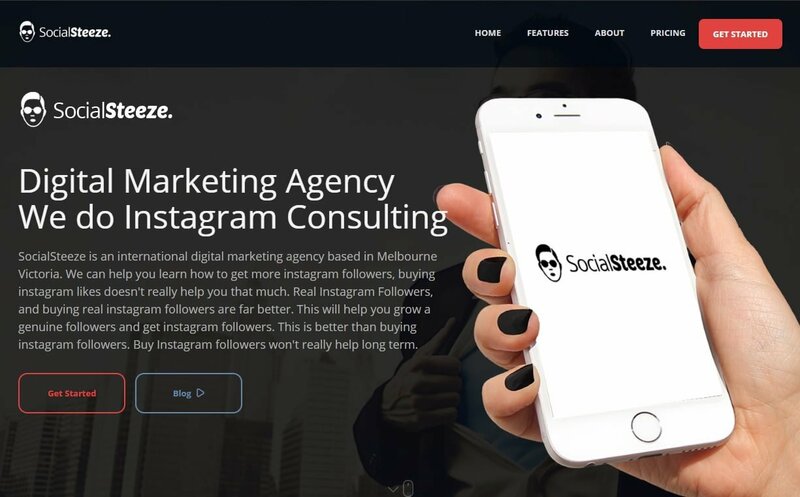 Unlike the other growth services on our list, SocialSteeze earned its spot by being an actual Instagram marketing company. The team at SocialSteeze will work with business owners to create and execute a social media strategy. Since they’re a genuine branding company, their prices are a bit inflated compared to the other services we mentioned. However, having a professional team on our side is well worth it. The Regular tier is $39 monthly, and it includes marketing consultations, branding, and setting business goals. The Pro tier offers the same benefits at $99 per month, so we imagine it does offer some more business-specific features. There’s also a 5-week program which costs $27 weekly, and a Business Consultation plan for $200 per week. In addition to all of these monthly and weekly plans, there are also two one-time payment services. Their Design&Branding package will create completely new company branding, including logos and other graphic designs for a one-time payment of $800. Finally, business owners can get payment API integrations on their Instagram accounts for upwards of $2.500. 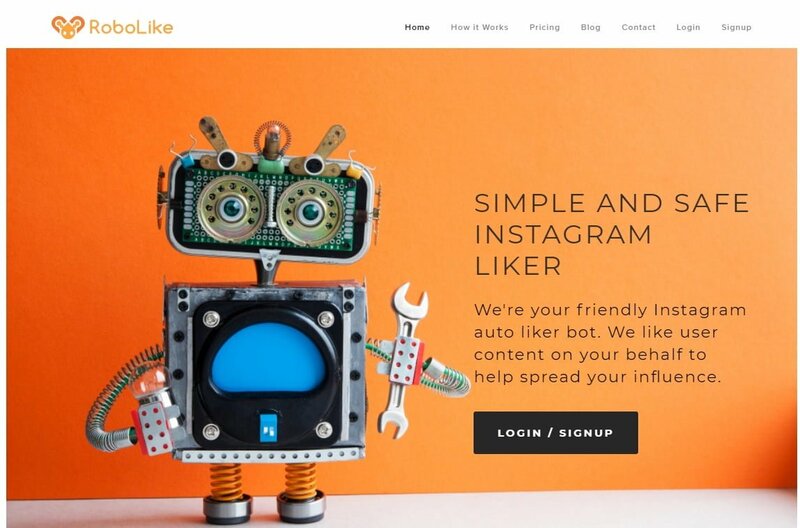 LikeSocial is another service that’s less of an account manager and more of a “pay for likes” service. Only, a client could also pay for video views and followers, as well. Many people and businesses shy away from services like these. However, we’re about to explain why they can benefit a company’s Instagram account. Namely, an increase in this kind of engagement can make sure that a company’s content is seen by more people. Posts that get many likes are more likely to be featured on the Explore page, as well. There are different prices for likes, views, and followers, so let’s check those out. Getting 50 likes (per post, we assume) requires a weekly fee of $10. An account would receive 100 likes for $14, 250 likes for $23, 500 for $34, and one and two thousand for $59 and $99 per week. The views come in 5 payment plans, for 100, 250, 500, 1.000, and 2.000, ranging from $7 to $49 per week. And finally, LikeSocial’s clients will receive 100 followers for $34 monthly, 500 for $56, 1.000 for $98, 5.000 for $168 and 10.000 for $298. The best part is that businesses can even employ this type of service on top of an automation service. And, this service is ideal for those who are concerned about giving away control of their Instagram account but still want to achieve growth. LikeSocial doesn’t require an account’s password in order to work. This automation service can do all of the basic tasks users would need. It can like and comment on posts within a niche, and follow and unfollow users. InstaQ can also send scripted direct messages to an account’s followers, and even welcome new ones. In addition, it can post images from a client’s site and RSS feeds. It’s also pretty secure, as it can use proxy servers to avoid leaving a digital footprint. The user interface isn’t very impressive, but it’ll do the job. InstaQ offers their premium service plan for unlimited accounts with all of the features, and for a monthly fee of $27, or a one-time payment of $134. Purchasing the software, which is available for Windows, Mac, and Linux, will give users a lifetime license. Both payment plans have a 14-day money back guarantee. Also, interested parties may try out the service before fully committing to it, though the features would be reduced to post scheduling, liking, and following. Instaswell can like and comment on posts with certain hashtags and follow/unfollow users who post about things of interest. It can also maintain the client’s following-follower ratio by automatically unfollowing users after it passes a certain number. The service also offers an anti-spam filter as well as a “No Repeats” feature, so the bot doesn’t like or follow posts or users it previously followed. The bot can avoid users who use certain words or hashtags as well. However, the service can’t schedule posts, and clients may not customize the following and unfollowing automation. There are four service tiers. Accounts can get 50 likes and follows daily for free, or they can get 500 of each for $10 monthly. In addition, for $15 per month, an account may like 1.000 posts daily, and follow and unfollow 500 accounts daily. For $20 per month, the bot will like 1.000 posts, and follow and unfollow 1.000 people daily. There are other Instagram Bots that users should avoid buying because they’ve been shut down by Instagram as they violated her API terms. Instazood.com – allows users to use packages that suit them at an affordable price but hashtags must be manually registered with different algorithms which are confusing to users. Instaswell – Its “managing” and “no repeats” features helps users to be organized while using any of their packages with a guaranteed good result. However, users cannot customize default parameters like auto-follow, unfollow, and like with a blacklist or whitelist to further maximize your experience. Followliker – This have been around for quite some time on the market, and it’s popular with some nice features and functions. It is fast and multi-threaded and can run lots of accounts simultaneously. You only get to pay a one-time fee and they’ll give you lifetime update for that. If you just have one account and not looking for a lot of functions, you’ll be fine with this. 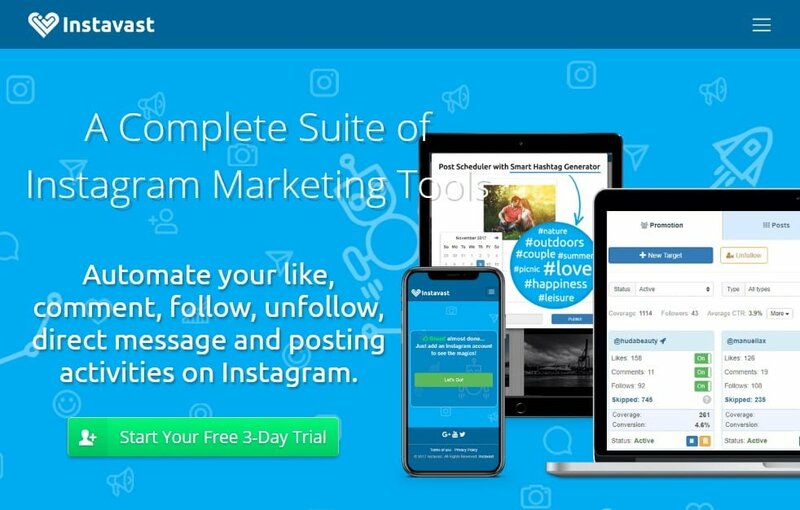 Instagress Alternative – This is quite affordable and has an additional auto comment and auto geo-tagging features, but users of this software must use it on a web browser only. Other Instagram Bots that have been shut down by Instagram include Archie, Mass Planner, Fan Harvest, and Influx Social. The aim of many businesses, influencers, and brands is to continuously grow their audience as well as set up more business engagement. It is no hidden secret that on Instagram, people follow you when you follow them too or engage with you when you engage with them. This is an obvious, tedious assignment if one has to be involved in such task daily on Instagram. Thus, Instagram Bots became a safe haven to use as it automated the act of likes, comments, and following for people while they got their hands and time on other duties. Just imagine checking your profile once a day and notice that you now have thousands of new followers or engagements. It certainly leaves you with the feeling of excitement and the urge to have more. One major benefit that users of Instagram Bots enjoy is that what could have taken them most hours of the day to do can be done in seconds using Instagram Bots. This enhances your online presence and business visibility in a fast-paced community as we have today. Another advantage is the low cost you enjoy while using such services. In contrast, Instagram Bots can ruin the reputation of a company in a matter of seconds just as it helps it. Research has shown that individual users and companies had to deal with embarrassing situations that Instabot led them into when it put up comments that contradict or negates their ideas and values owing to its lack of contextual sensitivity. A classic example of this hard knock is a case of an individual who wanted to endorse any post on #friendship but ended up burning his fingers when his Instabot gave a thumb up emoji comment on the death of a friend. You can imagine the level of embarrassment. Instabots are not designed to decipher contexts like this nor help you resolve such situation and so any attempt to explain this automated system that you set up will only earn lack of trust by your followers and on your brand. The possibility of targeting the wrong market. Might end up liking inappropriate pictures that do not represent you. The fact that it can only respond or target a post if it has a hashtag, location, or specific words. We’ve already explained what an Instagram growth service can and can’t provide at the start of this article. Now, we’ll answer some common concerns business owners might have while choosing the right service for their brand. Will their brand get scammed? Do automated growth services and bots actually work? What if a bot interacts with an inappropriate post? So let’s deal with the most commonly asked question first: are Instagram bots safe? Well, the fact is, some aren’t. That’s why we’ve done our best to put some of the most reliable ones on this list – starting with FollowAdder. Still, many people use added precautions like proxies to “stay under the radar,” so to speak. But, what if we fall for a scam? Again, since we’ve taken the time to list some of the most secure bots, that shouldn’t happen. Then, we might also wonder if they actually work. And, according to research, the answer to that is yes. Bots take a huge load off of business owners’ hands, freeing up their time to deal with more important things. Even bought likes and followers will work, because people are more likely to like and follow established accounts. Taking the time to use these services correctly will definitely increase engagement, whether they’re used for personal or professional gains. Finally, what should a company do if a bot unknowingly likes an inappropriate post, like in the example of the bot that liked a post for a deceased friend because it was looking for the “friendship” hashtag? Unfortunately, there’s no easy answer to this question. We might try to apologize, and explain the situation, i.e. admit we employ a bot service. Otherwise, we might limit our reliance on a bot in the first place. Fortunately, there are many ways to manage Instagram accounts, aside from employing bot services. After all, we must keep in mind that these services won’t actually make content for us. So, here’s a step-by-step guide to growing an Instagram account, with or without a growth service. Have a creative bio and link to something relevant to your brand. Engage and like other people’s content. Naturally, this is where bots can be of assistance. But, if we’re doing this part manually, we ought to stick to our niche. Indiscriminate liking is to be reserved for personal accounts. Upload high-quality content. If possible, all of the content on a company account should stick to a visual theme. This is how you can perform your own branding and design, without the help of a marketing team. Schedule posts at regular intervals. People like to know that a company’s account is curated. Even if a company doesn’t use a bot service, they can still have a polished presentation by posting at certain intervals. Make sure to keep your captions short and sweet, using only necessary hashtags. Also, make use of Instagram Stories, since many people only check those. You can even host Q&As or giveaways to boost engagement. A company could also encourage followers to post with a certain hashtag. However, getting them to do this will be tricky. When in doubt, be creative. Track your engagement and traffic. It’s always good to have some kind of analytics when you’re building a company brand. Finally, find collaborators and influencers. Today, companies need all the help they can get to get their message across. So, why not engage with popular users and ask them to collaborate. A brand could even pick out some of their more popular followers, and make it a contest. The fact is that Instagram automation should not be used to do the work you can do. It is better if you use it to discover more about your business niche especially by using its hashtag settings and scheduling features that can save the time spent on posting. However, there is a need for users to give their profile a consistent visual update, schedule time to like and comment on posts manually instead of using automated services. Your brand will reach the target audience, your authenticity will be trusted, and your account better secured this way. But if you must use Instagram automation, opinion polls and ratings suggest that the best result will come from using Followadder. It customizes who you can follow, is easy-to-use, and allows advance scheduling for your activities. Wow, you are amazing! Good job done, I’ve never seen an article like that though I’ve been looking for a long time for such detailed report. But I have a small favor for you: could you include in your next article Ingramer bot? I’ve been using automated instagram services for a couple of years, and now I decided to switch to this bot. And have no complaints! Thanks for publishing this article, good stuff! 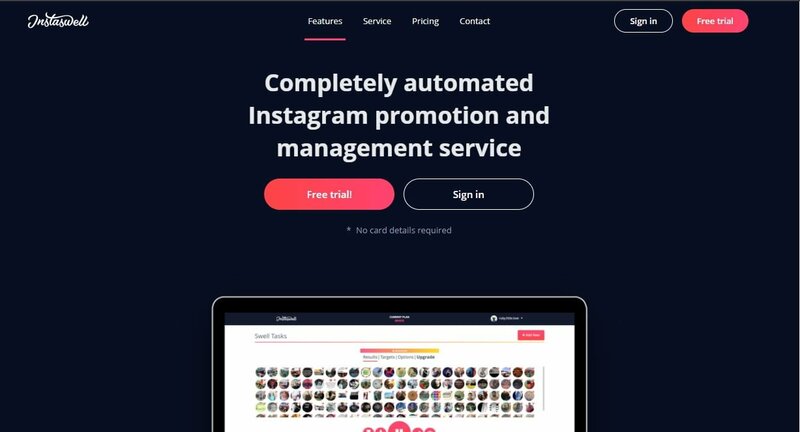 There is a new agency that is doing something similar with respect to Instagram automation: Sara.agency. Are you familiar with their Instagram growth tool? It might be worth mentioning it in your article, what do you think? Both ways, keep up the great work!